Just a quickie for this revisit to Follies, which remains as perfect a piece of musical theatre as I could hope for. I loved it then but I really love it now, Joanna Riding is just heartbreakingly perfect as Sally, she really brings something to the role that somehow eluded Imelda Staunton (for me at least), Alexander Hanson is superb in tracing Ben’s tragic fall, and Janie Dee and Peter Forbes maintain their stellar work as Phyllis and Buddy (seriously, Dee is a proper showstopper). Like the ghosts of their younger selves that haunt the characters in Follies so beautifully in this production, for those who were lucky enough to catch its superlative Olivier Award-winning 2017 run, so too do our memories interplay with what we’re seeing, inducing some soul-shiveringly exceptional moments that are almost metatheatrical in the feelings they provoke. In some ways, Allelujah! 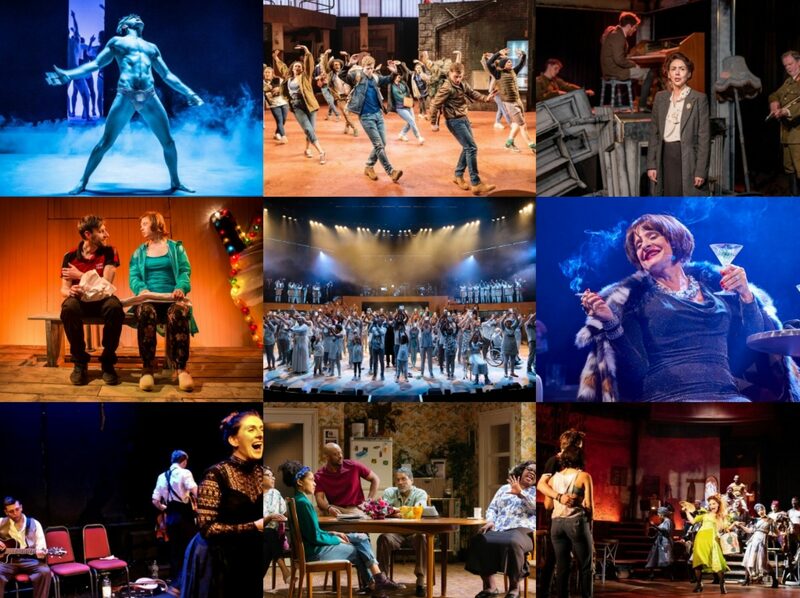 is perfectly symptomatic of the problem I have with the Bridge Theatre. Does London really need any new theatres, no matter how much people think they want interval madeleines? Does it especially need ones that put on large-scale Alan Bennett premieres? It is nice to see Nicholas Hytner maintaining the long-gestating creative relationship he has with Bennett but at the point where his new venture is now just a carbon-copy of his former home down the South Bank, except with premium seating, it is increasingly hard to make the case for it. A belated visit to this Bank Holiday TV offering and one I should probably have left alone. I’m not the biggest fan of King Lear, nor of Anthony Hopkins if I’m honest. But the notion of a contemporary adaptation and a deluxe level of supporting casting was enough of a draw for me to give it a try. Not too much more to say about Follies that I didn’t cover last time, suffice to say it’s just such a luxuriously fantastic show and I think I could watch it over and over! The head-dresses! Everything Janie Dee does! The orchestra! How no-one seems to be falling down that staircase! The staging! The shade of mint green in Loveland! The Staunton’s icy bitterness in ‘Losing My Mind’! The amount that Josephine Barstow has now made me cry, twice! The Quast! Just get booking now, while you still can. Follies will be broadcast by NT Live to cinemas in the UK and internationally on Thursday 16 November. Well this is what we have a National Theatre for. For Vicki Mortimer’s set design that both stretches towards the heights of the Olivier and lingers some 30 years back in the past; for the extraordinary detail and feathered delights of the costumes; for the lush sound of an orchestra of 21 under Nigel Lilley’s musical direction; for a production that revels in the exuberance and experience of its cast of 37. And all for what? For a musical that, despite its iconic status in the theatre bubble, is more than likely to raise a ‘huh?’ from the general public (at least from the sampling in my office!). Has ever a movie franchise fallen from grace quite so sadly as Debbie Isitt’s Nativity films? It was made worse for me as I watched them all for the first time this year and so the decline has been compressed into a couple of weeks. 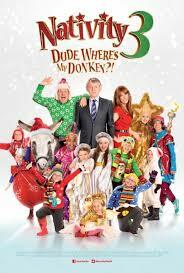 The first film utterly enchanted me, the second somewhat disappointed by the third – Nativity 3: Dude, Where’s My Donkey – thoroughly junked everything that worked about the original. Having had a near-perfect experience in on the front row at Chichester for Singin’ in the Rain, I didn’t think it could be topped by visiting the London transfer – sometimes I think it is best not to go back. 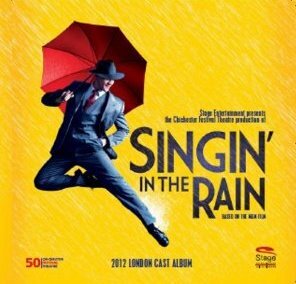 But listening to the cast recording released by the London cast in 2012, I’m kinda wishing that I had. It is a cracking musical whichever way you cut it but this is a brilliant record of a dazzling production that, dare I say it, I listen to just as much as the original film soundtrack. 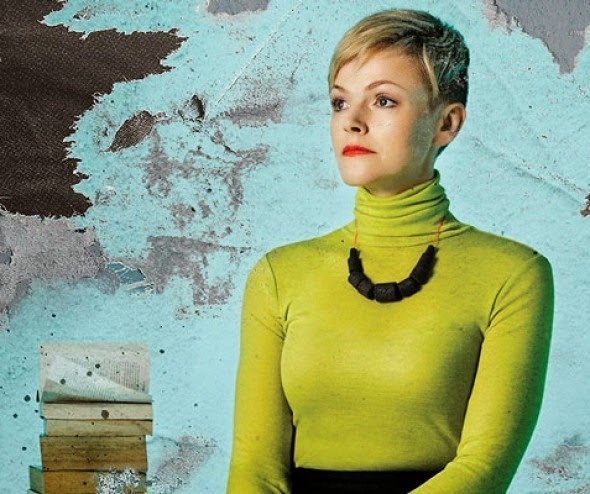 Despite the fact that I really wasn’t a fan of How To Hold Your Breath, I can’t help but be impressed by the way that Vicky Featherstone really has shaken up the Royal Court since taking over as Artistic Director last year. The diversity in programming may mean that there’s no such thing as a safe bet there any more (something to play havoc with those who carefully book everything months in advance) but there’s something thrilling about that unpredictability, and also the variety that it thus lends to people’s theatregoing.